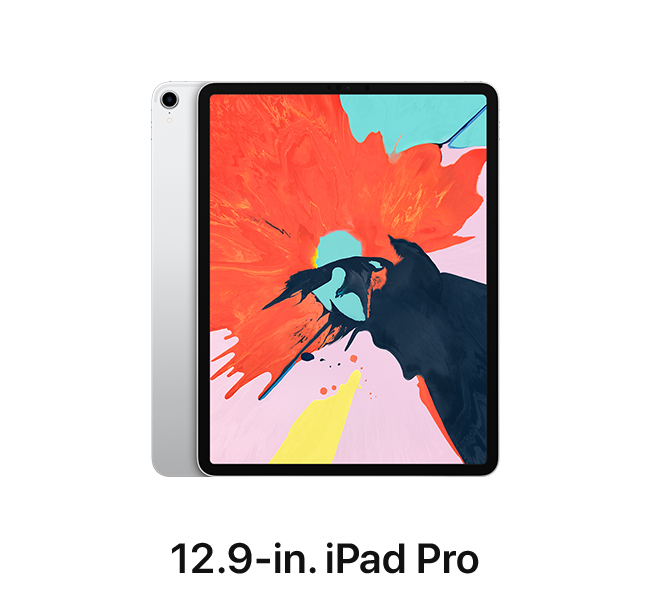 The new 12.9-inch iPad Pro features an advanced Liquid Retina display that goes edge to edge. Face ID, so you can securely unlock iPad Pro and log in to apps with just a glance. The A12X Bionic chip is faster than most PC laptops and easily runs pro apps. All-day battery life. Fast wireless. Over a million apps available on the App Store, including augmented reality experiences. And the new Apple Pencil and Smart Keyboard Folio help you be even more creative and productive. It will make you rethink what iPad is capable of—and what a computer is capable of. 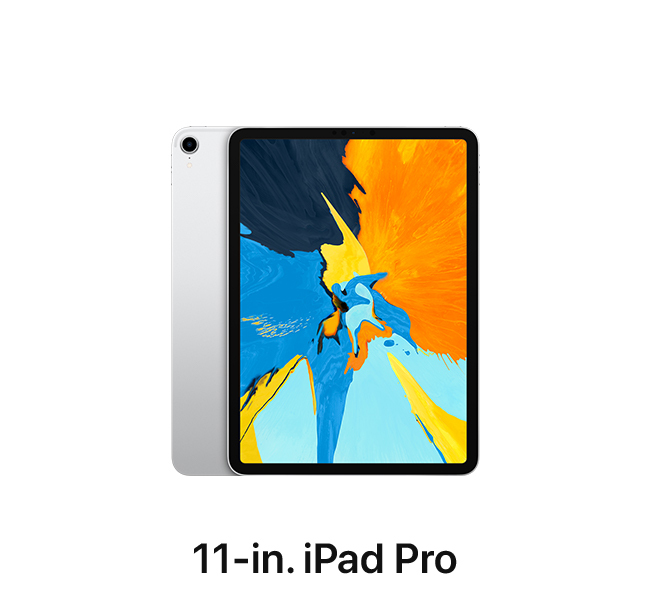 The new 11-inch iPad Pro features an advanced Liquid Retina display that goes edge to edge. Face ID, so you can securely unlock iPad Pro and log in to apps with just a glance. The A12X Bionic chip is faster than most PC laptops and easily runs pro apps. All-day battery life. Fast wireless. Over a million apps available on the App Store, including augmented reality experiences. And the new Apple Pencil and Smart Keyboard Folio help you be even more creative and productive. It will make you rethink what iPad is capable of—and what a computer is capable of. Create, learn, work, and play like never before. An immersive 9.7-inch Multi-Touch Retina display. A10 Fusion chip with the power and capability you’d expect from a computer. Support for Apple Pencil. 8MP camera. FaceTime HD camera. Touch ID. Fast wireless. All-day battery life. Over a million apps available on the App Store, including augmented reality experiences. A thin, durable, aluminum design that weighs just a pound. And with iOS, iPad is more powerful and personal than any other computer. iPad. There’s nothing else quite like it. 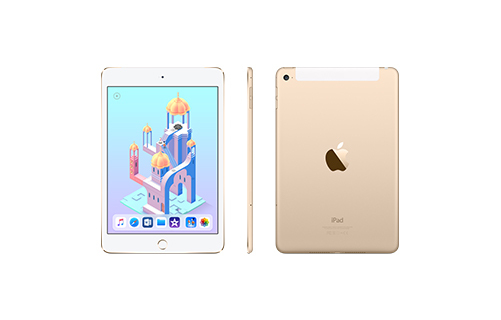 At only 6.1 mm thin and 0.65 lb, iPad mini 4 is immensely portable yet features a powerful A8 chip. A 7.9-inch Multi-Touch Retina display. 8MP camera. FaceTime HD camera. Touch ID. Fast wireless.2 All-day battery life. Over a million apps available on the App Store. And with iOS, iPad mini is more powerful and personal, so you can do more than ever before. 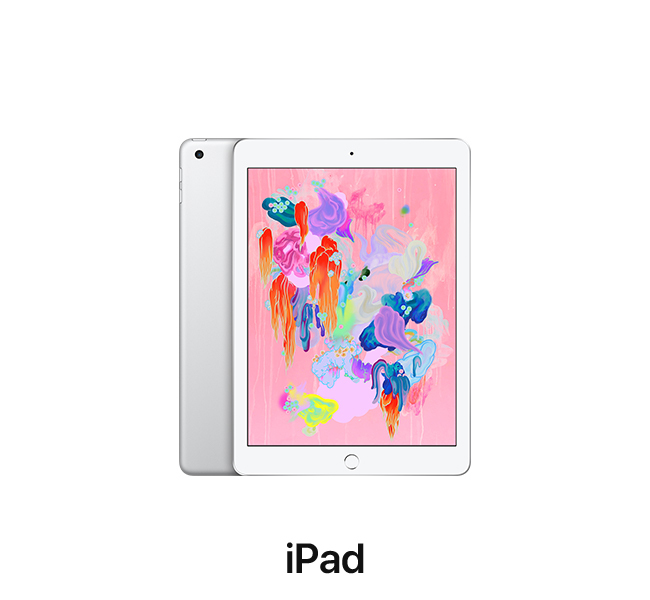 iPad mini 4. There’s more to mini than meets the eye.